New Delhi: Uttar Pradesh and Uttarakhand have been shaken by a hooch tragedy since Friday that claimed over 99 lives in Saharanpur, Kushinagar and Haridwar district, leading to suspensions of two senior UP government officers on Sunday. According to the The Indian Express, 59 deaths were reported from Saharanpur, 10 from Kushinagar and 30 in Haridwar. 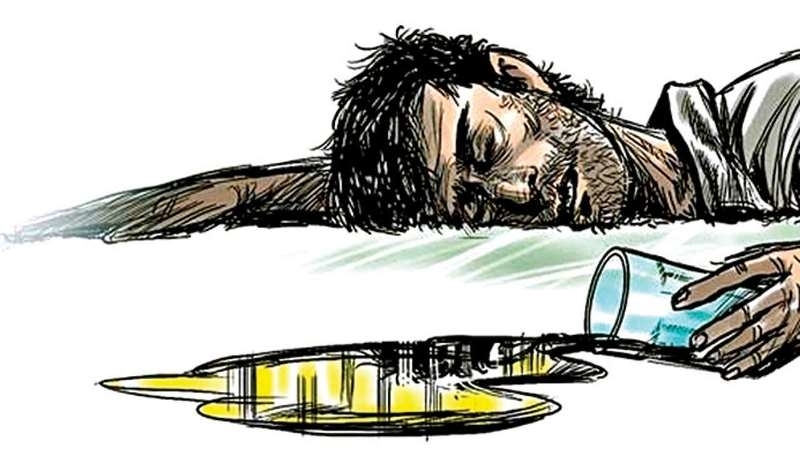 Forty-six post-morterms were conducted and 36 deaths were confirmed to be due to consumption of spurious liquor, Saharanpur District Magistrate Alok Kumar Pandey told IANS. Fourteen people are in a serious condition and are being treated at the Meerut Medical College. After the tragedy broke out, locals started protesting and blocked the roads in Saharanpur, seeking compensation from the government. "Our children should get free education. Women who lost their husbands should be given jobs and the culprits should be given strict punishment", said the proesting locals. Over 3,000 people have been arrested in connection with the hooch tragedies, officials told The Indian Express. A five-member Special Investigation Team, set up by the UP government, has been specifically asked to find out whether there was any conspiracy and also to review past incidents, and submit its report within 10 days, suggesting measures to stop recurrence of such incidents, an official spokesperson said. On Monday, Opposition members created a ruckus in the UP Assembly, demanding the resignation of Chief Minister Yogi Adityanath, leading to adjournment of the House during question hour. Speaking with Newsclick, a Samajwadi Party (SP) MLA said, "The Yogi government has miserably failed in every aspect. This is the fourth incident related to hooch. The first one was reported from Azamgarh, then from Barabanki, the third in Kushinagar and now Saharanpur. Had the Yogi government taken strict action, this incident would not happened." Meerut's Superintendent of Police Ranvijay Singh confirmed the hospital deaths and said 14 others were still undergoing treatment at the medical facility and were in a critical condition. Manoj, a journalist from Saharanpur, told Newsclick, "Patients are being shifted to Chandigarh, Meerut, Shamli, Dehradun due to overcrowding in government hospitals. Most of the people who died in Saharanpur were Dalits. I met the one who allegedly supplied the illicit liquor and found five people of his own family also died in this tragedy. However, the police have recovered his mobile phone, a few recordings and two pouches of liquor. " Pintu, a native of Baliakheri of Saharanpur district used to supply illicit liquor, his family members admitted in an interview to the local media, but also claimed that he used to do this on the instruction of the police.